No, Vegetable Oils are not Paleo! Why Vegetable Oils are Bad for You? There is no confusion on what oil to use in the Paleo diet. Animal fats like lard and tallow are best recommended when it comes to cooking Paleo food. Only the unprocessed and most natural food are considered Paleo approved. It can be deceiving that vegetable oils seem to sound healthy as they come from vegetables and vegetables are good for you. Apparently, vegetable oils are not Paleo and should be eliminated from your pantry. Technology is required to produce these oils. Vegetable oils are produced through series of chemical procedures such as high heating, degumming, deodorizing and bleaching. Most of the time, several refined oils are combined and addition of chemicals such as hexane is required to create a vegetable oil. Hexane, aside from being used to produce more oil, they are also used to make glue, leather and roofing products. Most often, the produce or crops used to create vegetables are genetically modified to be pest resistant. So think of these pesticides in your food?? Not good! Vegetable oils definitely did not exist during the paleolithic era because technology was not present at that time. 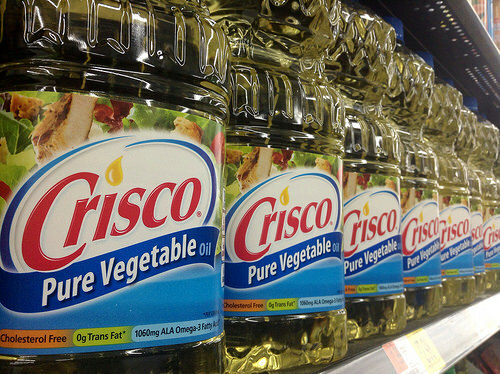 Nowadays, vegetable oils are used in cooking, salad oils, margarine and shortening. They are sometimes odourless and tasteless and really have high smoke points which are ideal for high heat cooking. But vegetable oils are high in polyunsaturated fats (PUFAs) that can increase the risk of heart problems. They have a high ratio of omega 3 and 6 that sometimes reach up to 10 times the normal or balanced ratio which is 1:1 to 3:1. We have discussed that the imbalanced ratio of omega 3 to 6 in the long term can cause inflammation that can result to chronic diseases. 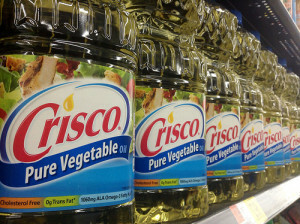 Because of the high PUFAs in vegetable oil, they can easily turn rancid even when stored in room temperature. They are also prone in oxidation that can form free radicals in your food (Remember AGEs?). Vegetable oils like avocado oil, olive oil, macadamia oil and coconut oil are exception to the no vegetable rule. These are healthy, natural Paleo-approved oils. Compared to other vegetable oils around, they do not undergo extreme chemical processes to be produced. Most of the time they are available in an “expeller pressed” form which means that they are manually extracted from the vegetable/fruit itself. They are low in polyunsaturated fats and omega 6. They are ideal for high heat cooking except for olive oil as it has a lower smoke point. They are the best substitutes for vegetable oils. Click here to see what other oils are good and bad from a Paleo perspective. What Experts Say About Vegetable Oil.. Is It Paleo? Paleo Leap. What’s Wrong With Industrial Oils? Ultimate Paleo Guide. Are Vegetables Oils Paleo? FitBomb. Your Vegetable Oil is Killing You! Primarily Paleo: What’s the deal with vegetable oils?